Everyone has heard of KitchenAid. It's one of the most popular name in mixers, and I'm one of the many moms I know who put my KitchenAid stand mixer to good use during the holidays! It's really helped me to step up my baking and cooking game. But did you know that stand mixers are just one of the exciting kitchen solutions that KitchenAid offers? In fact, there is an entire suite of products available to give your holiday preparation game an upgrade. And did I mention that it is beautiful? 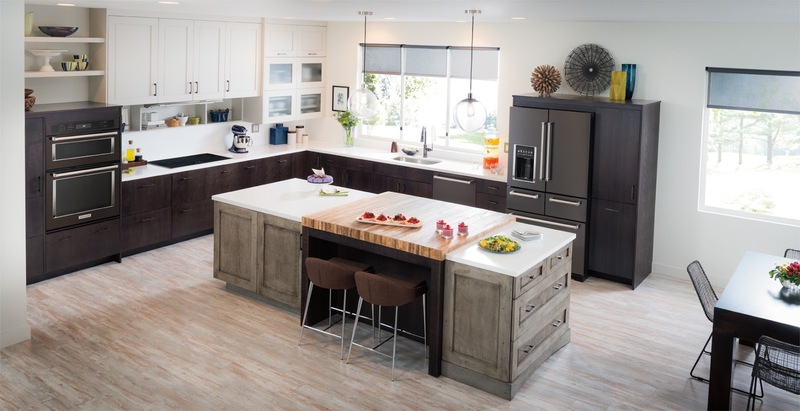 The premium color of KitchenAid appliances gives your kitchen a soft and warm option -- which is great if you're not a fan of stainless steel but want a bold look. 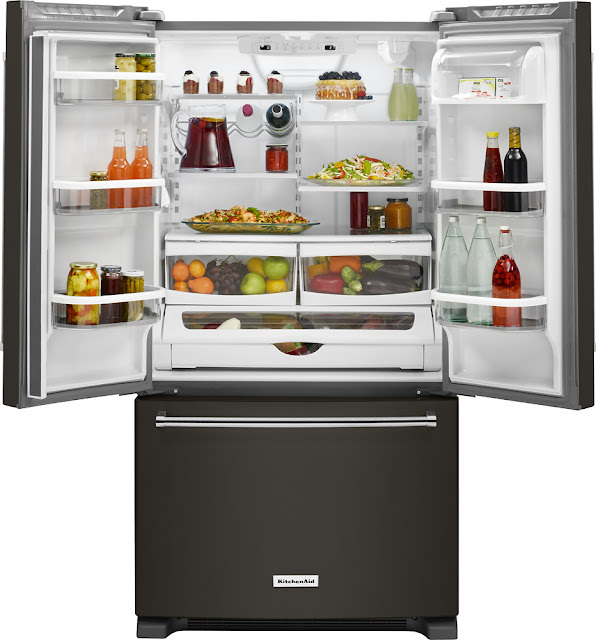 The Black Stainless Steel finish of these products is made to blend in with your other black appliances. KitchenAid is the first ever to bring this look to the marketplace! And even though the finish is new, the quality isn't. You can expect these products (including the fridge and dishwasher) to stand up to years and years of holiday meal prep. I'm actually in love with the fridge, which holds so much food -- a necessity for a big family of 8 during the holidays! The creative look of the new KitchenAid Black Stainless Kitchen products will really pop in your kitchen. We have a farm house due for some major upgrades. These would go nicely with our overall simplistic theme, and yet they would stand up to all of the wear and tear our appliances get on a daily basis (not just during the holidays.) The entire line of the KitchenAid Black Stainless Kitchen options are available now at Best Buy!